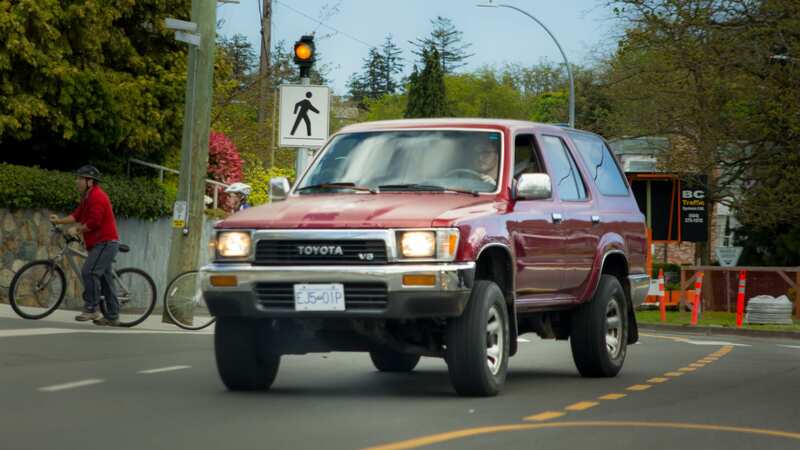 On my last two visits to Vancouver and Victoria, I was blown away by the number of Toyota trucks. 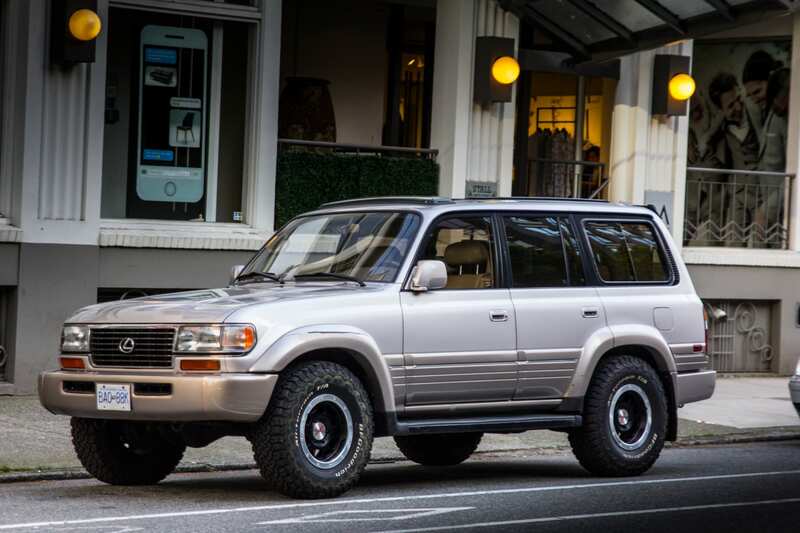 Not only at the high number but at the age and condition of some of the surviving LX, 4Runners, Land Cruisers, and Tacomas. No salt on the roads makes it the perfect place to own a vehicle of heirloom quality. Here are some of the ones I was able to catch that I enjoyed. 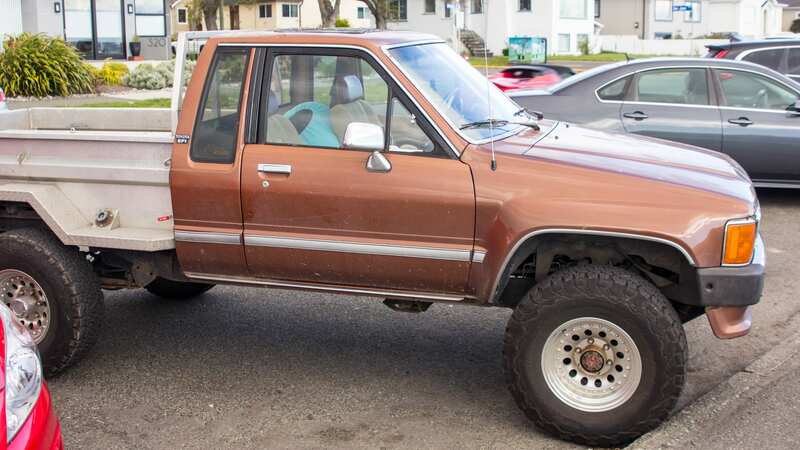 You just don’t see them like this in Ontario anymore. Some were even licensed in Ontario and had escaped early enough in their lives to avoid the certain death of corrosion. 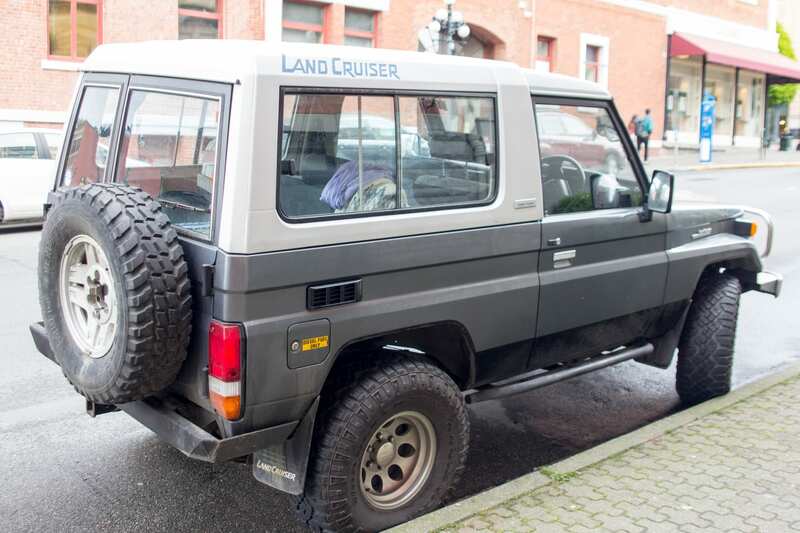 The level of accessorizing for off-road use and utility made each of them unique. 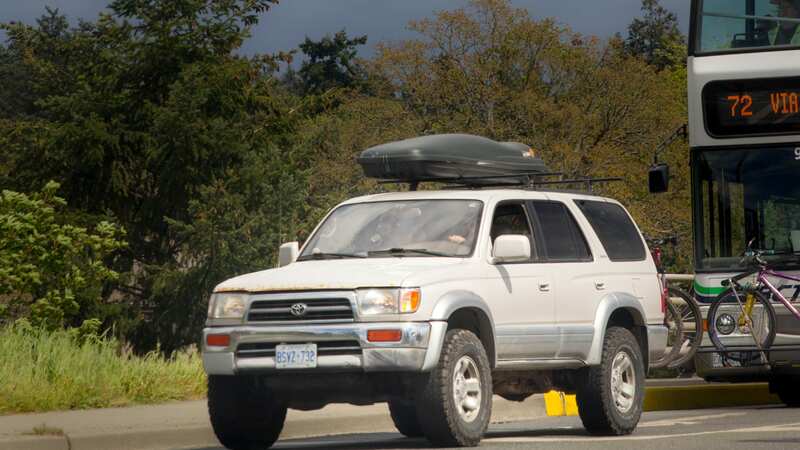 Winches, Bush Bars, Oversized and knobby off-road tires, bike racks, board racks, and much more. 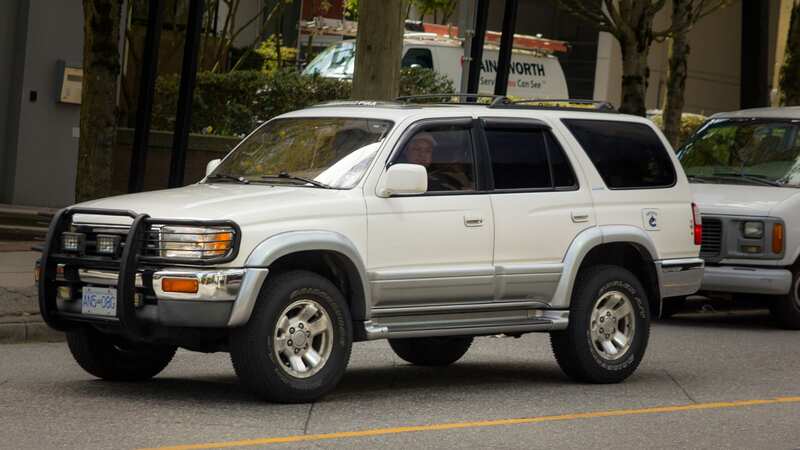 There were also a high number of Japanese Domestic Market imports to fill in the demand for low mileage product or the oddball variants like Toyota Harriers (Lexus RX) and Toyota Klugers (Toyota Highlanders). 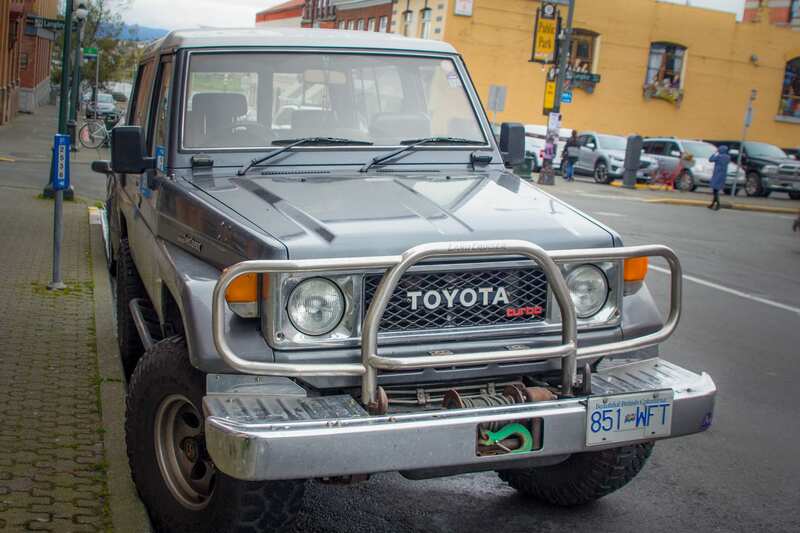 The combination of reliability, dependability, and genuine off-road credentials are perfect for fire roads, hilly country, overland exploring, mountain passes, and the active lifestyle activities that this kind of terrain makes possible. 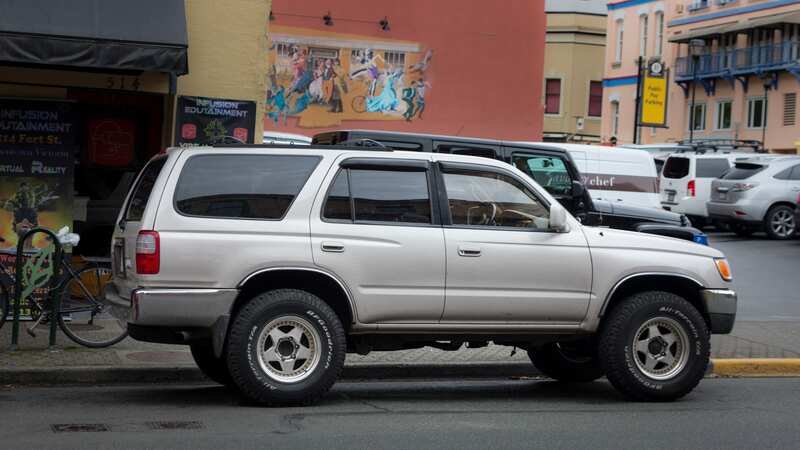 Skiing, Snowboarding, mountain biking, and trekking are some great pastimes in British Columbia and these trucks are up to any challenge.The off-road prowess largely relates to the body-on-frame design of the pickup trucks and the 4Runner/GX/Prado design, and the Land Cruiser/LX 570 platforms, rather than the unibody of smaller competitors. 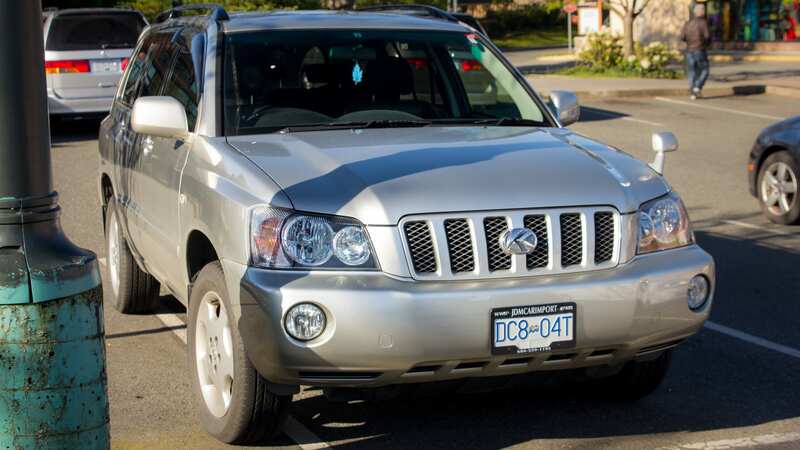 The resale values for these vehicles reflect both the supply and demand and the perceived long-term quality. 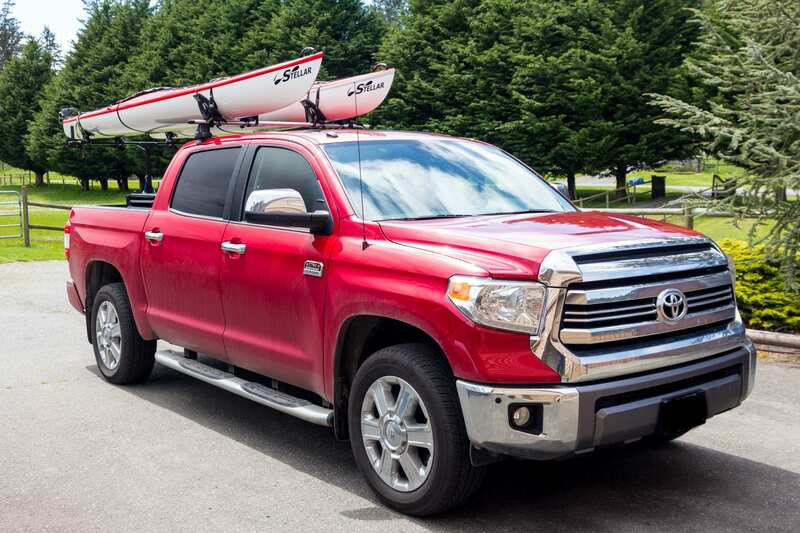 While its prohibitive for many to buy one, the cost per mile, or cost per wear to borrow a fashion term, can be lower when you factor the low maintenance costs and the long life of the vehicle. 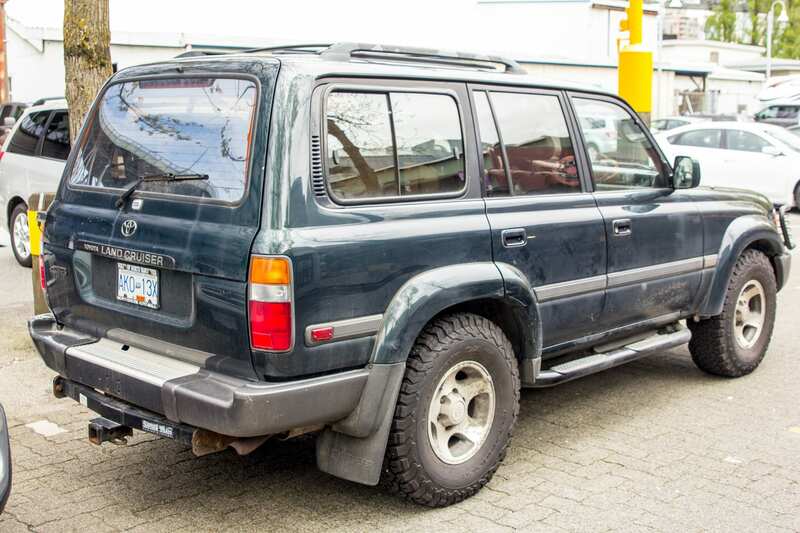 Newer ones seemed just as plentiful in the downtown areas of Vancouver. 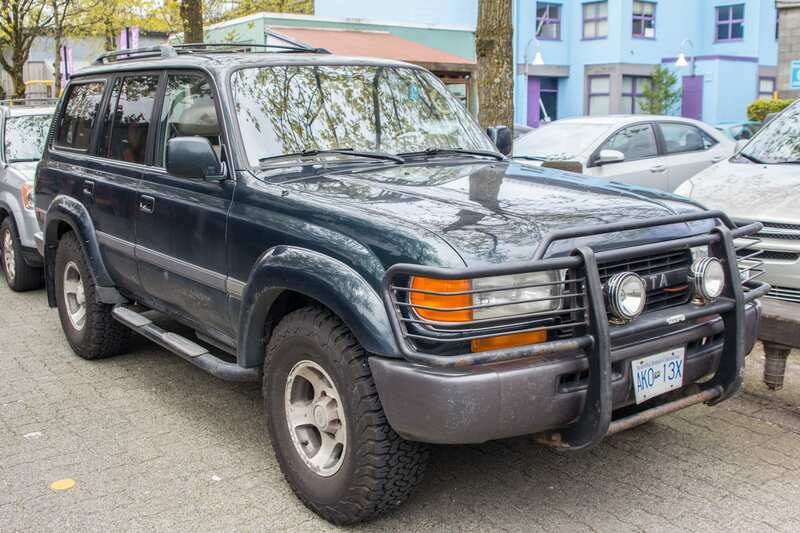 With new Tundras ranging up to $60,000, new GX 460s up to $80,000, and new LX 570s hitting the 6 figure $100,000 mark, even a 20 year ownership period isn’t inconceivable in British Columbia where there isn’t salt on the roads or long winters. 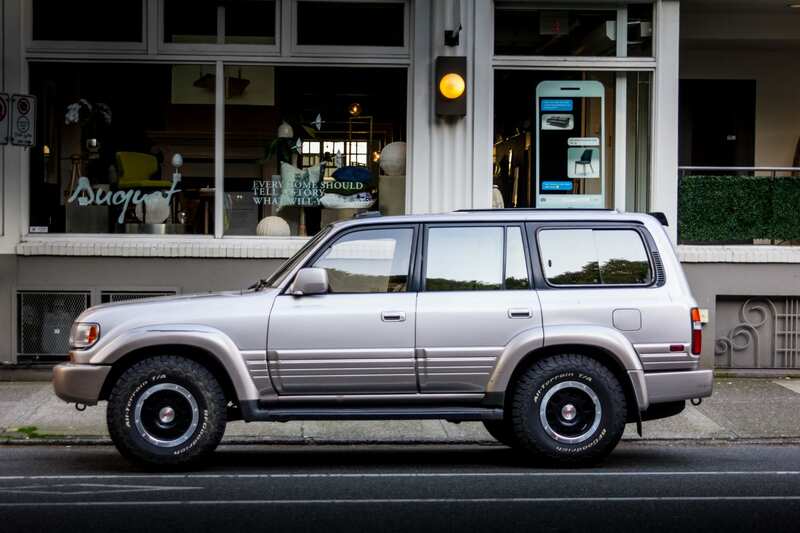 If you’ve made your first million in real estate price appreciation, it’s a lot easier to balance your net worth with a high quality depreciating asset like a gas-gulping SUV or truck. All photos with the Canon 60D and Sigma 24-70mm with a minor correction in Lightroom. 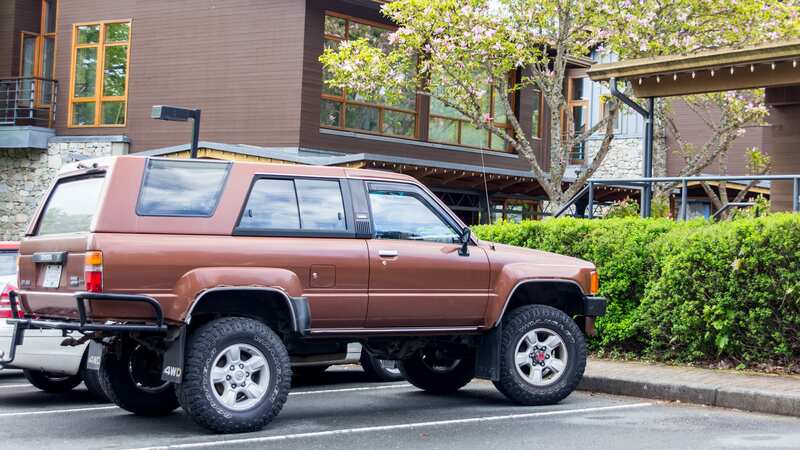 Lexus LX 450 with TRD Pro Offroad wheels. 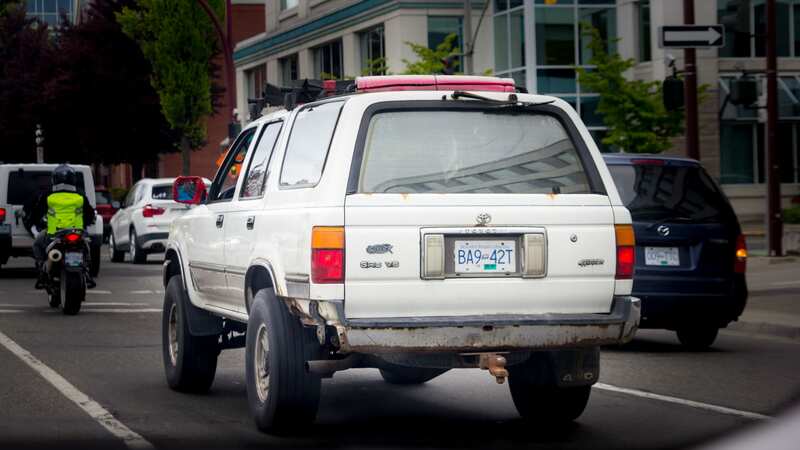 Check out this piece about License Plate designs in British Columbia and about other automotive oddities spotted on my last two trips to Vancouver and Victoria. 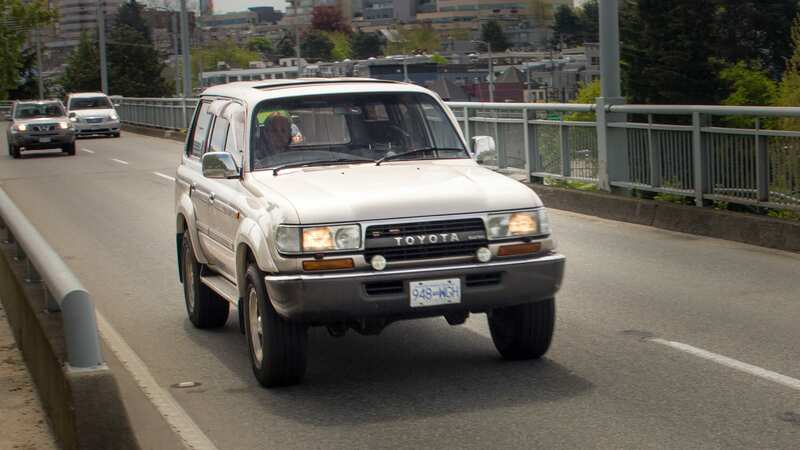 If you’re looking for more JDM Japanese Domestic Market goodness be sure to check out my post about Vancouver Velocity Cars.